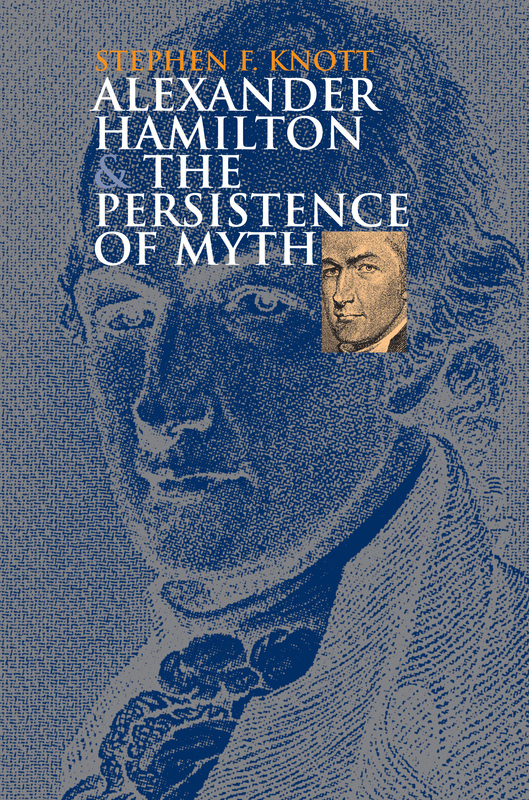 Alexander Hamilton and the Persistence of Myth explores the shifting reputation of our most controversial founding father. Since the day Aaron Burr fired his fatal shot, Americans have tried to come to grips with Alexander Hamilton's legacy. Stephen Knott surveys the Hamilton image in the minds of American statesmen, scholars, literary figures, and the media, explaining why Americans are content to live in a Hamiltonian nation but reluctant to embrace the man himself. Knott observes that Thomas Jefferson and his followers, and, later, Andrew Jackson and his adherents, tended to view Hamilton and his principles as "un-American." While his policies generated mistrust in the South and the West, where he is still seen as the founding "plutocrat," Hamilton was revered in New England and parts of the Mid-Atlantic states. Hamilton's image as a champion of American nationalism caused his reputation to soar during the Civil War, at least in the North. However, in the wake of Gilded Age excesses, progressive and populist political leaders branded Hamilton as the patron saint of Wall Street, and his reputation began to disintegrate. Hamilton's status reached its nadir during the New Deal, Knott argues, when Franklin Roosevelt portrayed him as the personification of Dickensian cold-heartedness. When FDR erected the beautiful Tidal Basin monument to Thomas Jefferson and thereby elevated the Sage of Monticello into the American Pantheon, Hamilton, as Jefferson's nemesis, fell into disrepute. He came to epitomize the forces of reaction contemptuous of the "great beast"-the American people. In showing how the prevailing negative assessment misrepresents the man and his deeds, Knott argues for reconsideration of Hamiltonianism, which rightly understood has much to offer the American polity of the twenty-first century. Remarkably, at the dawn of the new millennium, the nation began to see Hamilton in a different light. Hamilton's story was now the embodiment of the American dream—an impoverished immigrant who came to the United States and laid the economic and political foundation that paved the way for America's superpower status. Here in Stephen Knott's insightful study, Hamilton finally gets his due as a highly contested but powerful and positive presence in American national life. Stephen F. Knott is assistant professor and research fellow at the Miller Center of Public Affairs, University of Virginia, and author of Secret and Sanctioned: Covert Operations and the American Presidency.